One thing I’ve enjoyed about the Spider-Man movies produced in this decade is that they’ve offered varied types of costumes to be worn by the titular hero. I mean, aside from the black suit in 2007’s Spider-Man 3, Toby Maguire donned the same threads for three consecutive flicks. And to my delight, both Andrew Garfield and Tom Holland’s iterations changed it up in a visual sense. Of course, the biggest departure came via the Iron Spider in Avengers: Infinity War, but diehard fans are likely going nuts for what Spider-Man: Far From Home looks to offer. In other words, if you dig Spider-Man Noir comics, then get ready for a real treat. 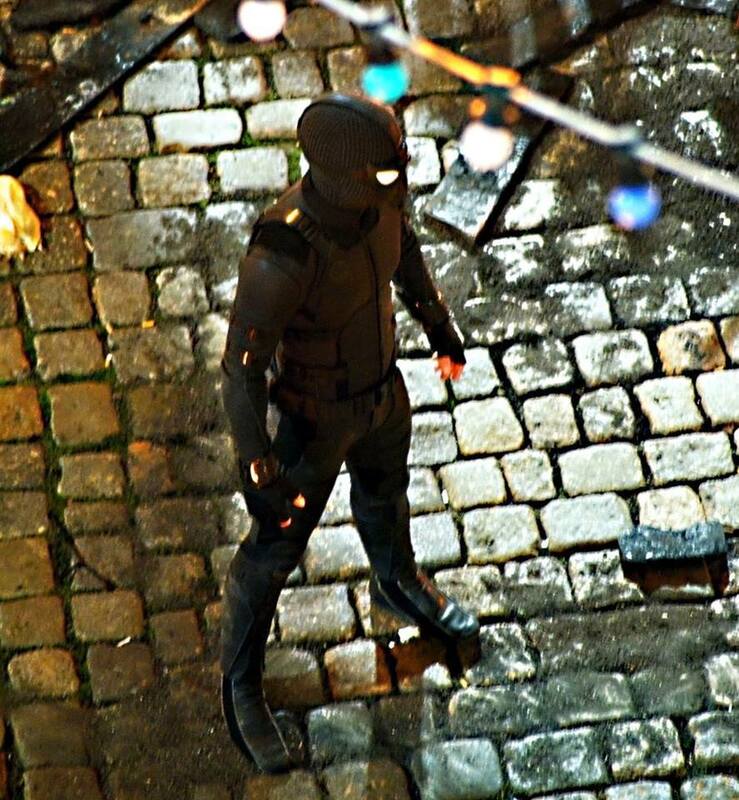 In the last week or so, a photo and video made their rounds, each showing Peter Parker decked out in a darker costume. Fortunately, we now have our best look yet by way of the below image circulating on – where else? – Reddit. As you can see, Spidey is about to make the toy companies very, very happy with that getup. To date, manufacturers have had field days by cooking up all sorts of goofy colored costumes as movie tie-ins, but it sure does help whenever alternate choices can actually be seen on the big screen. I don’t know about you, but I think there’s something unsettling about a mustard-colored Batman. Naturally, we’ll probably see much more of this stuff in the coming weeks, so it’s encouraged that you keep on watching this space. Not only that, but Jake Gyllenhaal has been parading around as Mysterio, which has also been a hot topic as of late, so we’ll keep you posted in that regard as well. Spider-Man: Far From Home opens in theaters on July 5th, 2019.